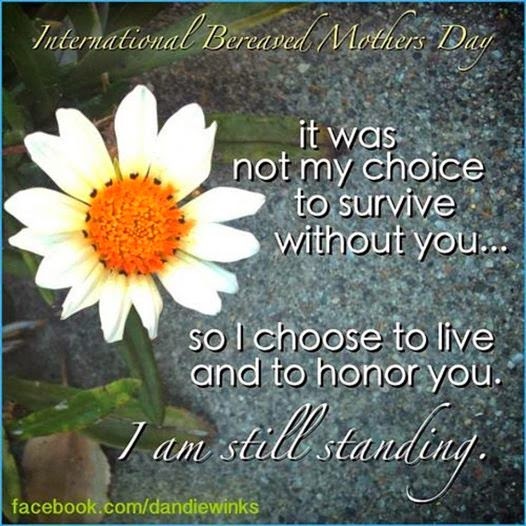 Today was International Bereaved Mother's Day; timed a week before the American, mainland Europe and Austrailian (any others?) celebration of Mother's Day. As an aside, why is UK's Mother's Day different? Anyway, we haven't marked it today. Jon didn't even know the day existed, and I'm not sure I have the emotional energy to mark another date in the calendar. But part of me wonders if this might be the answer to moving away from wanting to bury my head in the sand turmoil that surrounds the other Mother's Day. Would separating the two somewhat help? I don't believe for a minute I could exclude Anabelle from the 'real' Mother's Day, not entirely. But would having a Mother's Day, just for her, and a Mother's Day more focussed on the boys help? Next year there needs to be a plan. I think if nothing else we need to go out for the day, a day trip, something. Next year, Alexander will be almost three and a half, if he doesn't fully 'get it' then, he certainly will the year after. By then I need to be different. I need to have come to place where I don't want to completely ignore it. Is a day more for her and a day more for Alexander and Zachary the answer? Could I 'save' my sadness for Bereaved Mother's Day. Could it even work like that? Heavenly Mother. Earth Mother. Death. Life. Maybe I need turn Mother's Day into a celebration of life. Not forgetting Belle, not removing her from it entirely. I will always and still be a mother of three of Mother's Day. But giving more over to those precious boys who lived.